PARIS -- Lamborghini S.p.A. is considering adding an "everyday" model to its line-up, its chief executive Stephan Winkelmann said. Competitors, including Fiat S.p.A.'s Ferrari and Porsche AG, have recently added similar models to their line-ups in the hope of broadening their brand appeal and winning new customers. Porsche's four-door Panamera offers plenty of space to transport a family in comfort and Ferrari's FF offers four-wheel drive and station-wagon styling, which provides lots of luggage space. Referring to plans for a third model, Winkelmann said: "We are going to have a third model. It has to be an everyday car. We want to have a car which is able to be used on a daily basis." Winkelmann spoke at a Reuters summit here on Monday. Lamborghini has not yet decided which segment the car will belong to, he said, adding that once that decision was made, the group would need about four years to get the car on the road. The group does not plan to work with a partner on the new model, Winkelmann said, but he added: "We will use synergies where possible within the (Volkswagen) group." 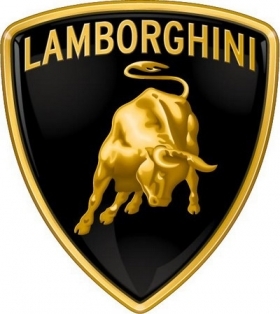 Lamborghini, a unit of Volkswagen AG, sees the luxury super sportscar market returning to the record levels seen in 2007, by 2013-14, Winkelmann added. In total, around 35,000 supercars were sold in 2007, compared with about 26,000 last year, he said. Strong demand from emerging regions such as China and Russia is boosting sales of high-end models. The Italian company was hit hard by the global economic crisis in 2009. In 2008, it sold 2,430 cars, its record year. Winkelmann said Lamborghini could sell around 1,500 cars this year, compared with 1,302 in 2010, although he stressed that this was not a fixed sales target and depended on deliveries of the new 313,000 euro Aventador it will launch in the second half. Lamborghini also sells the Gallardo, which starts at around 180,000 euros, and stopped making the Murcielago in May last year. "We will be growing but on a level which for the time being is not so important for us as the fact we are building up a new order bank," Winkelmann said. The Aventador supercar, which like its predecessors is named after a fighting bull, is already sold out for the first year and a half of production, he added. Lamborghini should sell over 300 cars in China this year, Winkelmann said at the Reuters Summit, about a fifth of its total likely sales for this year. Last year it sold 206 cars in China, excluding Hong Kong. Analysts at IHS Automotive see China's premium segment growing to 909,946 units in 2011 and 1.6 million in 2015, compared with 727,227 last year.